Matthew Hiley throws subtlety to the wind with a look at American politics that is visceral, darkly funny, and a twisted condemnation of everything that's wrong with our current system. It may be fiction, but it feels more like Hiley is a time traveler, venturing from the not-so-far future to warn us about where our society is headed. Satire is best when we see a reflection of ourselves, and this book is a terrifying, magical mirror. If Terry Southern and Hunter Thompson had a child, he might well write like Matthew S. Hiley. Wickedly smart and darkly hilarious, The Candidates is a Primary Colors for the Reality TV generation. 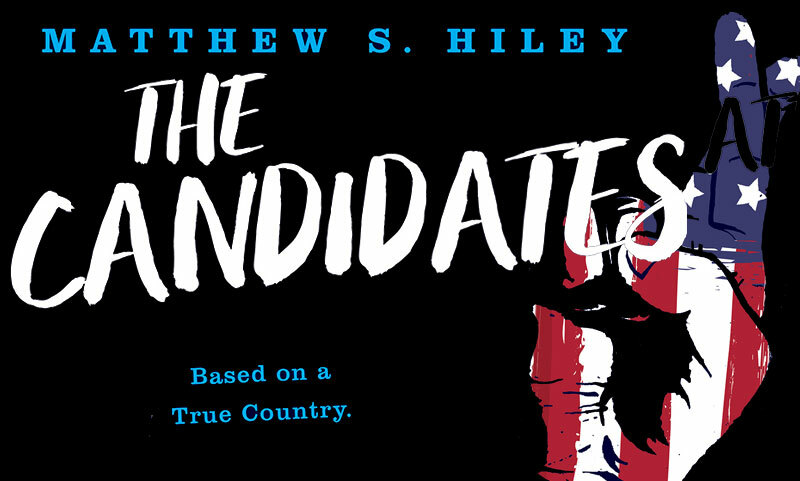 Take a wild ride with two of the nastiest presidential hopefuls along the craziest campaign trail in history with Matthew Hiley’s The Candidates. Packed with clever dialogue, murder, drugs, humor, revenge and a midget hitman, The Candidates will undoubtedly earn its rightful spot on your bookshelf between Hunter S. Thompson and Gore Vidal.